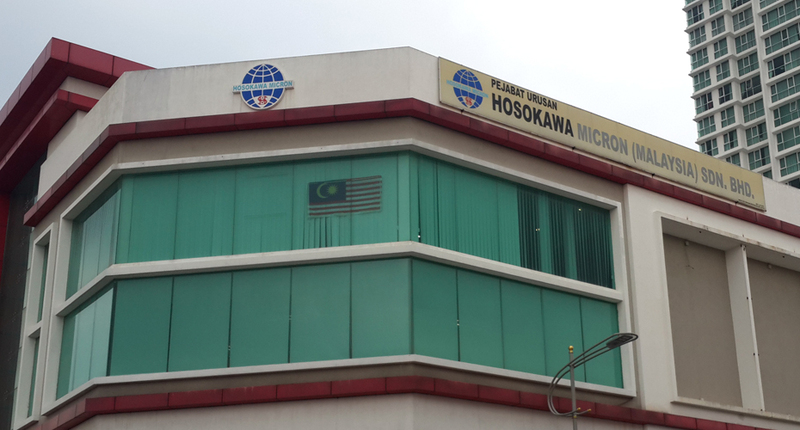 Hosokawa Micron (Malaysia) Sdn Bhd is a sales and liaison office in Malaysia for Hosokawa Micron Group. Four Sales Engineers are selling group products to customers mainly in Malaysia but also in neighboring countries. or any technical problems that customers might encounter. as a sales representative office in Malaysia for Hosokawa Micron Group. Then in, 1995 it was registered as a legal entity. powder and particle processing technology and blown film technology. throughout Asia/Oceania, the Americas and Europe. ultra-fine composite particles in the rapidly expanding field of Nano Particle Technology. The Hosokawa Micron Group will always be the leading global company covering the mountain range of Powder Technologies. The Group will achieve peaks of excellence in the development and commercialization of advanced materials, process equipment and systems engineering. The purpose of Hosokawa Micron Group is to provide economical technical solutions to solve customer business problems for customer satisfaction and to contribute to society. The Group is committed to preserving the environment for future generations by acting in a ethical manner and adhering to sound ecological practices. The Group provides a challenging and satisfying work environment for all employees in order to ensure a reasonable return to shareholders.